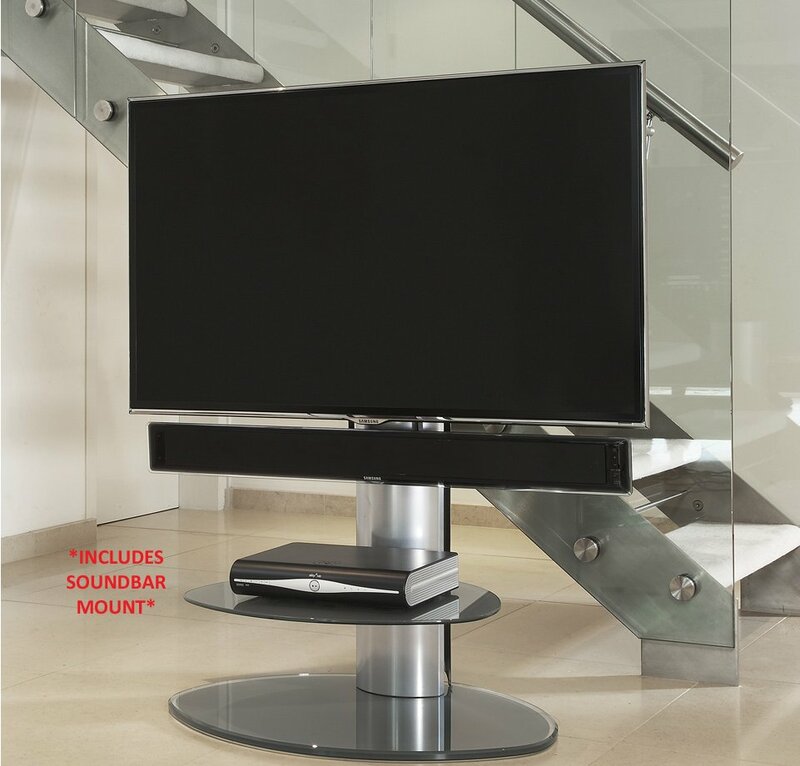 This stunning TV stand from Off-The-Wall gives the illusion that your TV is wall mounted without actually needing to mount it to the wall. 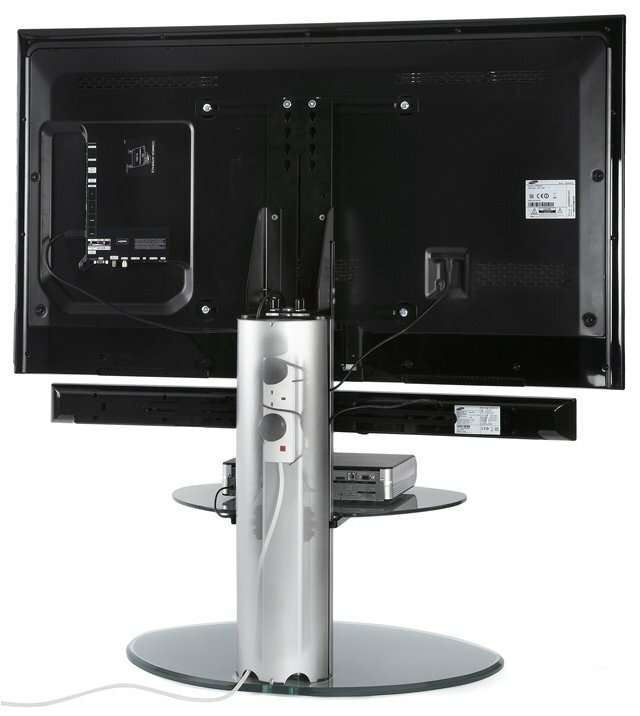 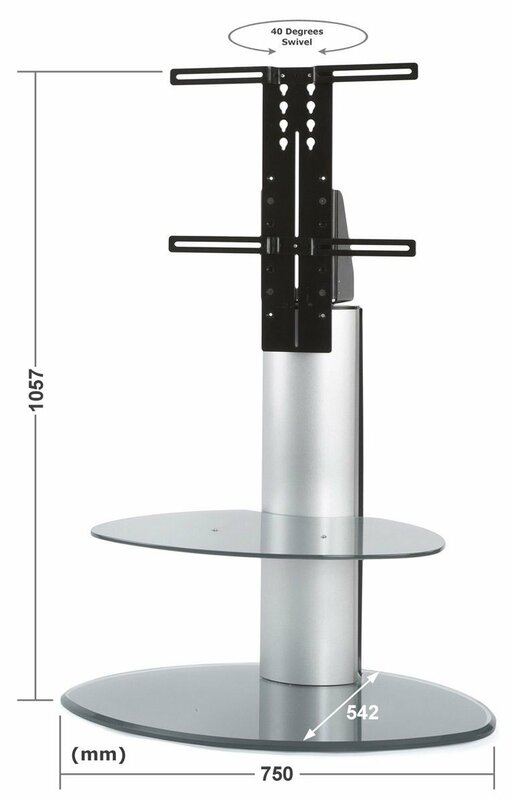 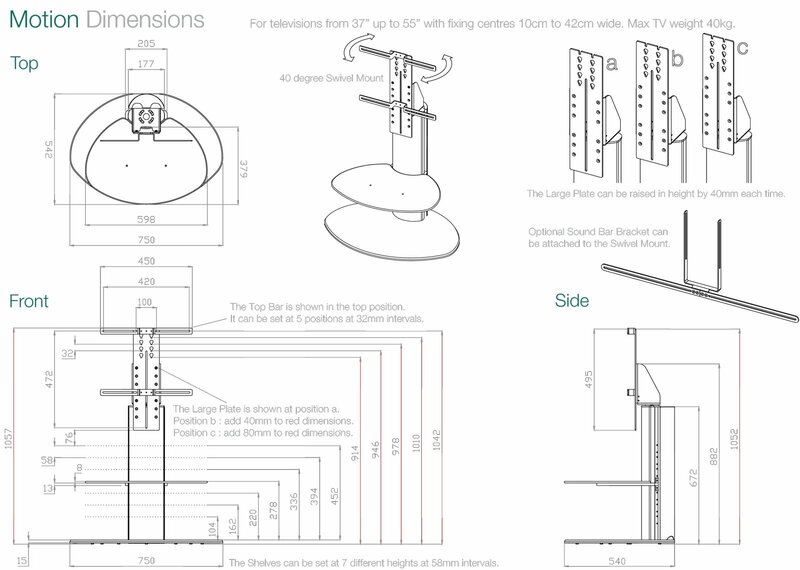 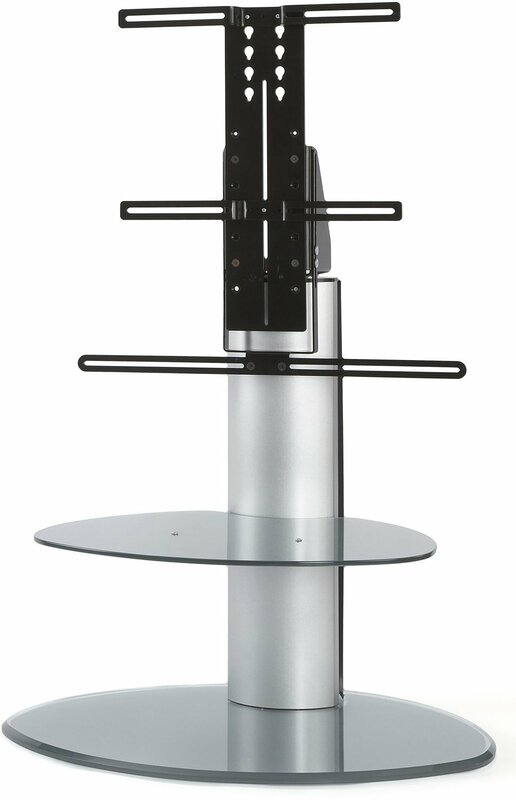 The silver Motion TV stand is extremely well built with a frosted safety glass shelf and a black cantilever bracket which is capable of supporting up to 55" TVs. 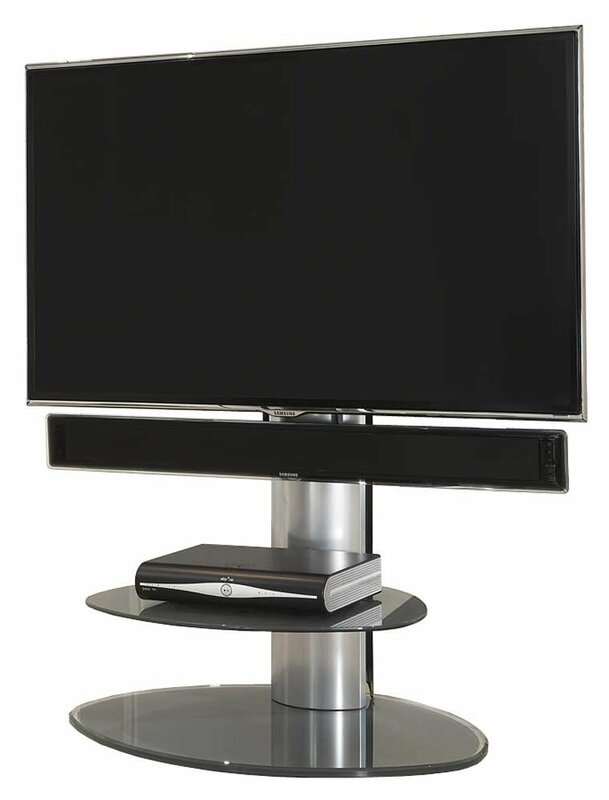 AVF FSL930CHEB Chepstow Black TV Stand with Bracket for up to 65"
AVF FSL930CHEOW Chepstow Washed Oak TV Stand with Bracket for up to 65"